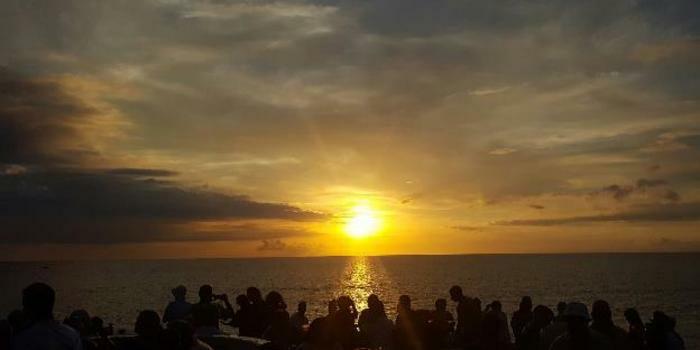 Cruise passengers looking to capture memorable moments of Jamaica’s beauty will find plenty of content worthy of populating their Instagram feed. The picturesque, sun-drenched shores of Jamaica oozes with no-filter-needed backdrops that can make anyone envious. And with world-renowned food and attractions that include everything from culture to adventure, it’s easy to see why the hashtag #feelthevibejamaica has been shared by so many visitors. 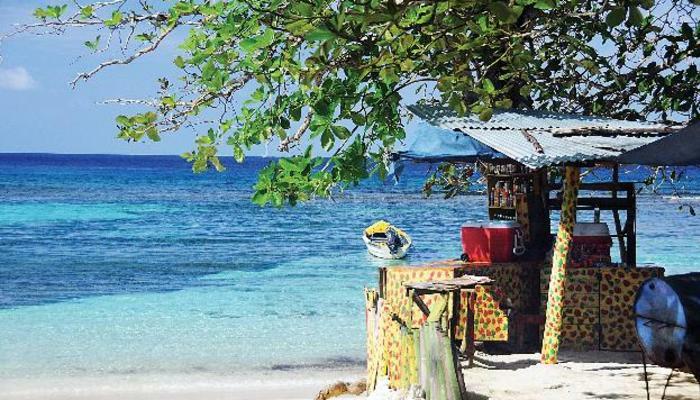 Following are ten instagrammable locations to capture the beauty and essence of Jamaica during your cruise. Visitors can use the hashtag #FeelTheVibejamaica to post their favorite memories and search through other incredible photos taken on island. 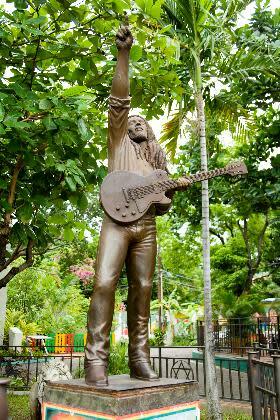 Dedicated to the legendary reggae icon Bob Marley, his former home turned museum is located at 56 Hope Road in Kingston. This was Marley&apos;s home until his death in 1981. Open Monday through Saturday from 9:30 am to 4 pm, an hour-long tour by tour guides provides valuable insights into Marley&apos;s life and the opportunity to view artifacts and exhibits from his life. The building, which is decorated by colorful Rastafarian flags and a life-size statue of Marley in the garden also make for vibrant Instagram-worthy memories. Sitting on 11 lush acres in the capital city, the stately Devon House mansion built in 1891, was the home of Jamaica’s first black millionaire, George Stiebel. Be sure to capture the iconic shot of the house from the front lawn. For some mouth-watering food shots, be sure to experience and get a photo of Devon House I-Scream, voted as the fourth best place on earth for ice cream by National Geographic. Take an exhilarating river ride on a 30-foot handmade bamboo raft while learning about the legend of Martha&apos;s Gold that has been hidden away in a mysterious cave - yet to be discovered. 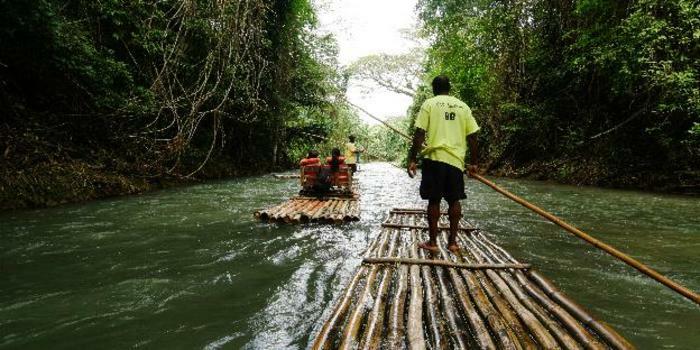 The three-mile raft ride is piloted by a trained “Raft Captain” who will gently glide the raft upstream through the verdant Jamaica countryside. Get your camera ready for the “money shot” as the captain gives you an opportunity to steer the raft. Early in the 20th century, Doctor’s Cave Beach developed a reputation for the remarkable healing powers of the ocean at this coastal point. Travelers came great distances to bathe in the waters here, which some believed are able to cure a wide range of ailments. As you emerge from the waters feeling anew, get your camera ready and recreate the famous Jamaica poster starring Sintra Bronte for the ultimate Instagram moment. 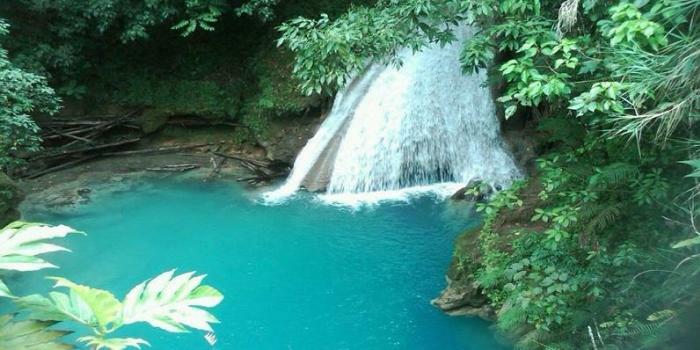 Island Gully Falls is a hidden treasure located in the hills of Ocho Rios, Jamaica. 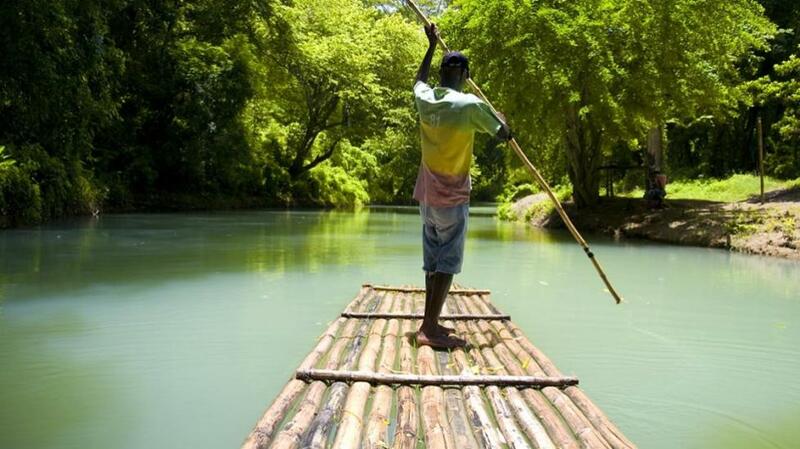 Its scenic beauty and serenity make it one of the most sought-after locations in Jamaica. Your time spent here will include a cascading waterfall climb, rope swings and cliff diving for the adventurous. 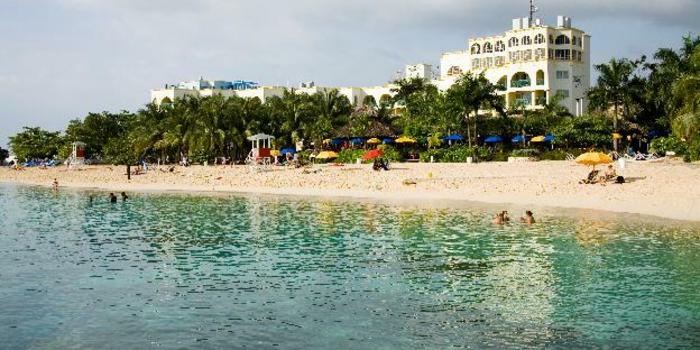 It is an Instagram moment you won&apos;t want to miss during your trip to Jamaica. 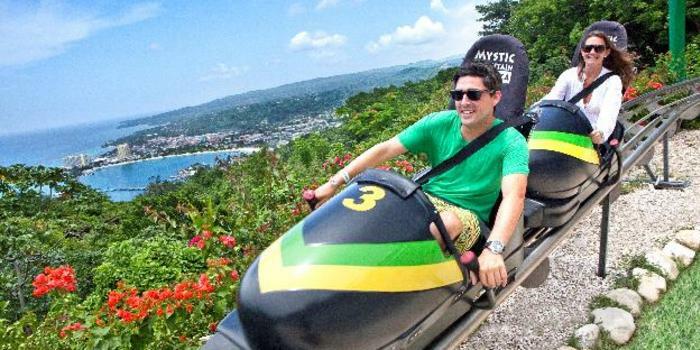 The Rainforest Bobsled Jamaica at Mystic Mountain boasts over 100 acres of land stretching from its coast road entrance to over 700 feet above sea level. Modeled after the famous Jamaican bobsled team, the ride is powered by gravity. Riders need only to push a foot-brake to release the bobsled down the track. The ride down is fun, fast and furious. Sit in the front car and get your shot before you take off because before you know it, you’re screaming for your life. Voted by Travel Channel as one of the best bars in the Caribbean, the legendary Rick’s Café is a cliff-side hot spot that’s loads of fun. If you dare, come with your swimming trunks and your GoPro and capture the ultimate shot of yourself as you take a plunge off a cliff into the clear Caribbean waters for a once in life time memory. Hang around until the sun sets, put your camera on time lapse and witness what is arguably the best sunset on the island. Every vantage point at Rick’s is the ideal Instagram shot. Mayfield Falls is a nature lover&apos;s paradise featuring two beautiful waterfalls, 21 natural pools, 52 varieties of ferns, an abundance of exotic tropical flowers and plant species, and several types of birds, butterflies, and indigenous wildlife. Enjoy the thrill of swimming through an underwater cave, a refreshing plunge into deep river-pools or the massaging waters of a natural jacuzzi. With so much to see and do, every moment will be Instagram worthy. Considered one of the most appealing beaches in all of Jamaica. Winnifred Beach is home to a reef just offshore that’s not only perfect for snorkeling, but also for its clear, calm, bright-blue water. On the weekends, there are horseback riding tours down the beach and boat trips to nearby Monkey Island. Bring your GoPro for some out of this world underwater shots if you dare go snorkeling or get there early for some secluded footprints in the sand shots. Renowned for its vivid blue color and famously as the backdrop in the movie Blue Lagoon starring Brooke Shields, this small secluded lagoon consists of both fresh and salt water. Once thought to be bottomless, one of its beloved features is the changing hue of the water, which depends on the sun’s reflection throughout the day. 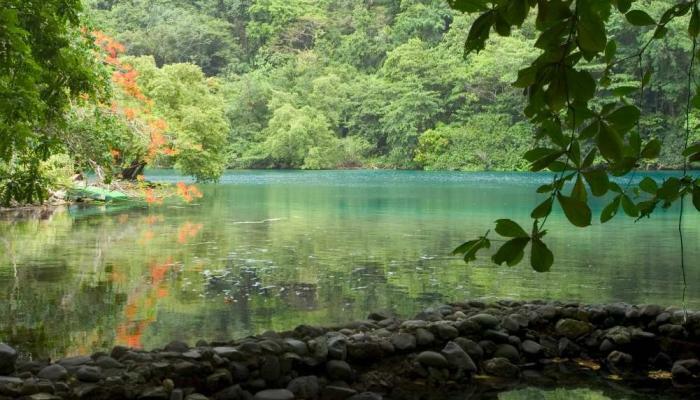 This location makes for a perfect slice of tropical paradise with its thick foliage and glistening waters. 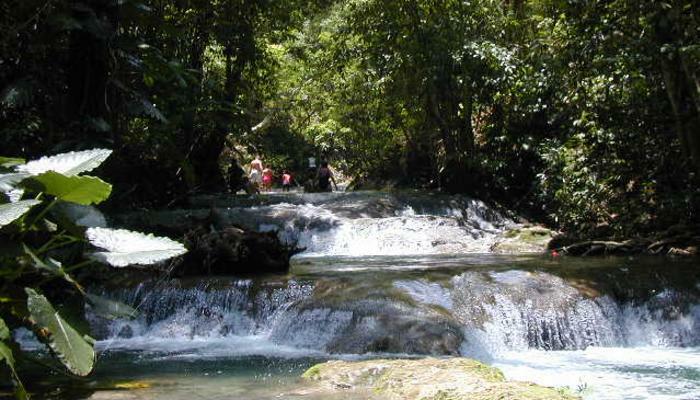 For more information about Jamaica and a guide to planning your next vacation, visit www.visitjamaica.com.